Dexter Daily: POLL: Dexter Season 8 Premiere: One Year Later - What Grade Do You Give the Final Season Now? POLL: Dexter Season 8 Premiere: One Year Later - What Grade Do You Give the Final Season Now? It's been a whole year since the final season of Dexter debuted. Season 8 picked up six months after LaGuerta's death. Dexter is still working as a blood spatter expert, and Deb has quit the force and working as a private investigator and she's also been avoiding her brother as much as possible. 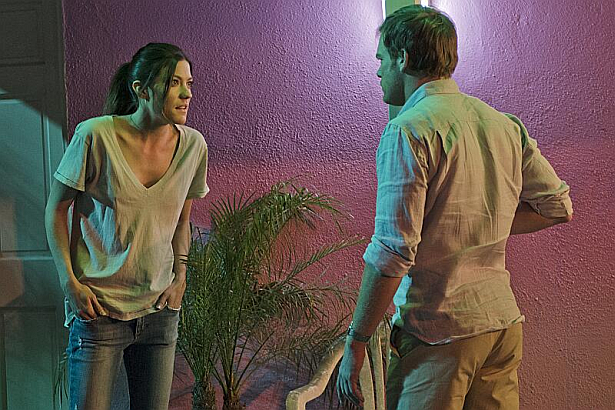 One year after the premiere of the controversial final season of Dexter, what did you think of the whole season? Do you still have the same opinion as last year? Take our poll below, and hit the comments! One year after the Final Season Premiere - Grade Season 8!